There seems to be mounting evidence of systemic racism in Waldorf and Steiner schools around the world. Here is a blog describing the recent racism at the Te Ra school - an excellent read. It identifies a veteran Waldorf teacher lecturer who has spewed some interesting writings since the Te Ra incident. I've added a few of his views from before the incident as well. In a letter published on the Listener's website, Simpson insists that accusations of racism at Steiner schools are 'ridiculous'. Simpson will admit that 'a small number' of Steiner's writings contain racist ideas, but she claims that the 'essence' of his philosophy is 'the opposite of racist'. Today's Steiner teachers are, according to Simpson, paragons of anti-racism. On the same day that Simpson's confident denials of racism turned up on the Listener's website, though, another important figure in the Steiner schools movement published an epistle of his own in the Otago Daily Times. 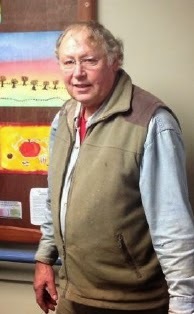 Colin Rawle is a veteran Steiner teacher who has worked at many of the movement's New Zealand institutions, and is currently attached to Dunedin's school. Rawle is also a long-time member of the New Zealand Anthroposophical Society, and is listed as a Dunedin contact person on the outfit's website. In his letter to the Otago Daily Times, Rawle predicts the imminent extinction of the Maori language, and delights at the prospect. Echoing the words that Steiner used about indigenous peoples like the American Indians, Rawle argues that not only te reo Maori but the whole of Maori culture belongs to an older, more primitive era, and should be left to die. Rawle calls advocates of Maori culture 'malcontents', and warns that 'the old mentality or consciousness' that te reo Maori expresses is 'the very last thing that modern cosmopolitan societies want'. How many past civilisations, races and languages have synthesised and evolved to become the modern language and culture we know as English? And this too shall pass, ''in its season''. The demise of ancient cultures should neither be hastened nor prolonged, but be allowed to pass in dignity and gratitude and not be kept artificially alive as humiliating caricatures of their former reality - especially at the cost of untold millions of taxpayers' dollars, every cent of which could be put to better use. Are we to assume that ''dumbing down'' has succeeded to the point that we moderns are now completely ignorant of once well-known facts? If the present-day part-Maori agitators possessed any trace of the spiritual wisdom they pretend to, they would know that it is the fruits of the past which we carry forward with us into the future, not the trappings. Such malcontents have no wish to arrive at the truth since they know this will not be to their advantage. This is not the first time Rawle has shared his views on race relations with the Otago Daily Times. In a series of letters over recent years, he has bemaoned the backwardness and ungenerosity of Maori, and hailed the honesty and charity of Pakeha and the British Crown. In a 2012 letter, for instance, he suggested that 'the only proper, rational attitude that Maori can have toward British colonisation is the deepest possible gratitude'. There is so much good stuff here that directly relates to Steiner's ideas about the races. Again, read the blog and follow the links. future. Therefore, it behoves those who understand these things to carry the seeds of true Christian civilisation over the blood and ashes of its destructive impersonators to the dawn of a new day. The antidote to our present social ills is to be found in rousing and applying those dormant faculties which have the power to instantly recognise evil, throw a clarifying light on the real meaning and purpose of modern natural science, and, at the same time, take us confidently into the future. humanity – or do not. But, seen it must be if we are not to be wrecked upon it. Opposition and anvils must be recognised as opposition and anvils. Only then can ‘evil’ fulfill its appointed mission. The true nature of P.C. is not nearly enough recognised, and the unrecognised evils of today become the catastrophes of tomorrow. Correction to article: Colin Rawle is not a teacher at the Dunedin Rudolf Steiner School. He has never been employed as a teacher here, but volunteered for an hour a week at the school. In 2012 he withdrew when it became clear that some of his views were in conflict with the values of the school, and with the school's commitment to honouring the principles of the Treaty of Waitangi. Any statement that Mr Rawle makes is his own personal opinion and is not representative of the Dunedin school or of Steiner Education in New Zealand. To our knowledge he has not taught at any Steiner School in New Zealand. It is therefore a surprise to hear him described as a “veteran Steiner Teacher who has worked at many of the movement’s New Zealand institutions”. The picture posted is from 2014 in Dunedin's own press release http://www.dunedin.steiner.school.nz/Newsletter/%2317%209%20June%202014.pdf Apparently, he hasn't withdrawn from the school as much as you suggest. Clare Ridout is correct. Although I have been a supporter of Steiner education for 34 years I have never been a Steiner teacher or a state trained teacher. My views are mine alone and are not representative of any organisation. I recognise ( the real ) Treaty of Waitangi and more particularly the actual founding document of New Zealand ~ Queen Victoria’s Royal Charter dated the 16 November 1840. I see. You weren't a "teacher" from the standpoint that you weren't *paid* to teach - but volunteered for an hour a week. Did you just want to be around school children? "My views are mine alone and are not representative of any organisation." Ah, except that they COMPLETELY AGREE with Steiner's views on colonization... what a coincidence? It's like the teacher who taught Steiner's racist ideas to my kids wasn't representing Waldorf... only herself. So Colin, if you didn't get your ideas on colonization from Steiner, what is the source for these ideas that both you and Steiner are in agreement with? Colin's ideas are supported by many anthroposophical teachers. I heard them myself, not only from Te Ra Waldorf school, but also from other teachers here in Aotearoa New Zealand, and the teacher training center. I was not the only staff member who heard them. Six of us left, along with others from different Steiner kindergartens (who heard the same ideas) and many parents. The longer anthroposophists claim their belief or faith does not include ideas regarding 'degenerative' races, the sillier they, and the whole philosophy, looks. It is great all schools in NZ now have 'declarations' against this "unknown" racism, but this is just the start. What does taking 'race' out from the reincarnating child do? What is now the purpose of this reincarnation? Is karma still a factor? The hard work is yet to come, dissecting Steiner's writings so those who are trained in Steiner education understand what is morally right and what is repugnant. Colin's ideas (Steiner's) are repugnant and have no place in education in any country - even in 1936. Colin's opinion is not isolated. I heard, first hand, teachers from different Waldorf schools and training institutions, here in Aotearoa New Zealand and overseas, with very similar ideas - that the 'older' races' have had their time, and should die out gracefully. This is Steiner's idea. This is why 6 staff left Te Ra Waldorf school and many parents took their children out. Anthroposophists need to stop denying what is inherent in their ideas around human/child development and start changing them - publicly, so all parents know their children are safe. The declarations all schools have now in NZ as a response to the article is just the first step. Now the hard work must begin - sifting through Steiner's writings (which teachers read for training and pleasure), and weed out how his ideas link directly and in-directly to Waldorf education today. This needs to be done by an independent group, not through the anthroposophical lens (which is so flawed). The final ministerial report from our original complaint makes fascinating, frightening reading, and in no way states that the school is cleared of racism, as some have claimed. Do you believe it is possible to cleanse Waldorf education of Steiner's writings - the writings the education is based on - and still maintain the "Waldorf" name? The people who own the name wouldn't agree with this. It would be like taking the noodles out of spaghetti. To have something that isn't inherently racist, the schools need to change to something that isn't Waldorf. That would be a good thing in my opinion. Nobody is in any hurry to update teacher training materials as far as I know. I do not believe you can cleanse Steiner's writings enough for a 'safe' school. If attempted, I would hope that within that process of 'trying' everyone realised they do not want connection to 'Waldorf'. Even taking out the 'racism' should be enough to topple the system as it is a major player/pillar holding up the pretty face. This is now where I am at. However, we are trying to get people to look at his writings! This in itself is so hard. When we first brought this to the MoE's attention, we focused on the racism - due to what we have heard from teachers but also thinking that as we have a Treaty, are a bi-cultural country with multi-cultural people living in it, we thought we would stand a better chance at bringing about change regarding this subject. We thought the governt would not want to fund a racist philosophy - what they have done, according to the latest correspondence from the ministry, is gone and met with the Federation of NZ Steiner schools to teach them how to respond appropriately to the racism and concerns of racism. However, I personally, do not know why anyone would want to keep the Waldorf name. I personally think these schools should not be publicly funded and then they would "die out gracefully" (to quote my friend Colins). And yes,no body wants to look at it or update anything. The hump under the rug must be the size of Mount Taranaki by now. Also, I have to ask, in the comments section of the Listener article a person from the Dunedin school wrote, claiming that a published white supremest teacher and Trust member had been dismissed from the Dunedin school - does this mean it wasn't Colin? I had assumed it was. But it appears that there may be more than one orbiting around the school. How many published white supremacists will it take until the MoE steps up?